Tagged game-changer, google, GroupThink, Innovation, michael jackson. What’s your favorite quote about innovation and why? Tagged Innovation, michael jackson, michael jordan, quotes, quotes about innovation. Last night I went to the premier of Michael Jackson’s This is it. In the movie you’re looking at a creative genius at work but you’re also looking at the world through his eyes. It’s a great movie to watch if you a MJ fan because he WAS going to put on show! Although there are many things we can take away from MJ, there is something a friend of mine said tome after it was over that got me thinking. The Billie Jean performance is Michael at his best. When I see MJ you don’t need to live abroad or to go visit new places to get in your inventive or creative mood… INNOVATION comes from INSPIRATION, it comes from INSIDE. Just like a little kid, who makes out of a simple box, castles, dungeons, towers with trapped princesses inside or secret passages, MJ takes in all of his surroundings and transforms them into a work of art. Just as he did once, with just A SIMPLE BOX, a GLOVE and A HAT. MJ’s creative toolbox consists of a box with a hat and a glove and the best dance moves in the business. That’s it! Simple as that! Anyone can put on a hat, a glove and dance but MJ makes the hat and glove all part of the dance, the performance. They become an extension of himself, his persona. The whole key is he never lost his ability to astonish. Our inner child needs to be nourished, and see what no one else sees. We must never lose our ability to astonish ourselves. So ask yourself, in my business what would be equal to the box, glove and hat I can use to create a memorable experience? Like other people in the world I grew up with Michael Jackson’s music and still can’t stop listening to the tunes. 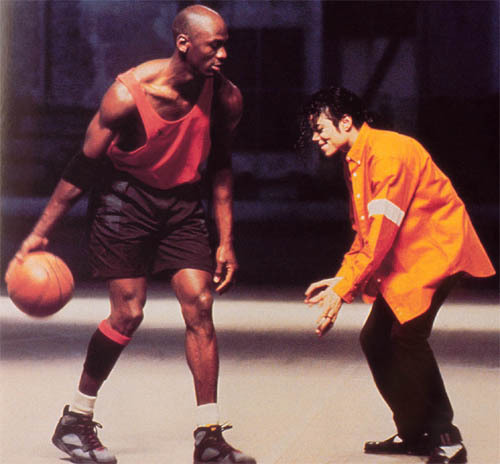 I still remember the videos of me emulating Michael’s moves and doing (trying!) the moonwalk when I was 5 years old in my grandparents house. It seems it was only yesterday! Michael was my first idol, I thought how cool is this guy having such a huge impact in the world…I want to be just like him. It sad to see the King of Pop go but on the other hand I’m glad that I was influenced by him.